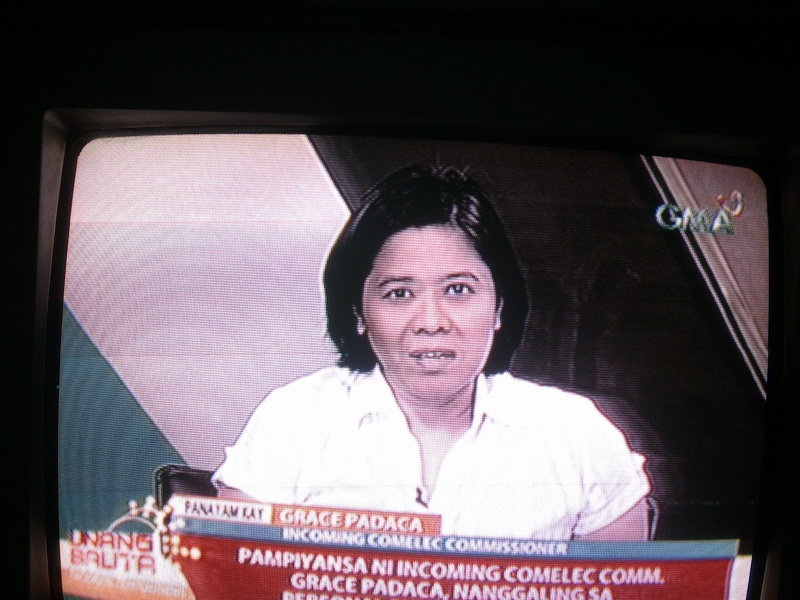 In her GMA7 “Unang Hirit “Interview on October 5, 2012, woman advocate Grace Padaca, spoke of her appointment as new COMELEC Commissioner. Accompanied no less by DILG Secretary Mar Roxas in the photo below, she posted a P70,000 bail, personally chipped in by President PNOY himself, on a malversation case filed against her in 2007, when she was seeking reelection as Isabela Governor in 2007. In the interview, ex-Isabela Governor Padaca told ‘Unang Hirit’ Anchor Man Arnold Clavio that her experience as a victim of election irregularities and political harassment would help her serve her post objectively. She urged candidates committed to serve but hesitant for lack of money for votebuying, to file their candidacy. She believes that under the term of PNOY, citing Secretary Jesse Robredo’s legacy, honest public officials have a better chance of win. In a big way, and winning her ups and downs, Commissioner Padaca is proof that disability is no hindrance to active participation in political and social life.